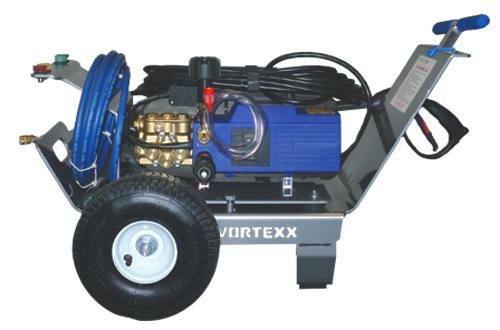 If you want to plug into a 110V outlet, you won’t find a better combination of pressure and flow than a Vortexx Electric Professional 1900 PSI Pressure Washer. 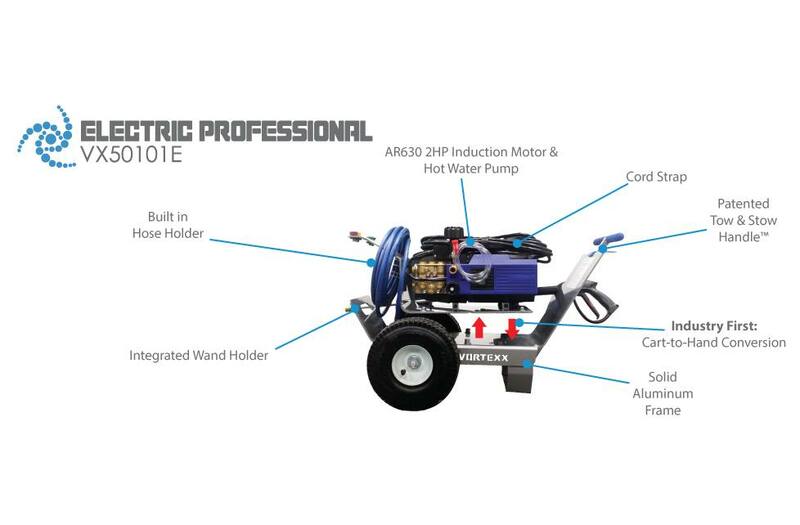 Our 1900 PSI Electric Professionalcomes with professional grade motors and triplex plunger combos powered by AR. What does that mean for you? That means we provide the maximum pressure and flow allowed in category. Competitive products are either hand carry OR molded into a cart. We see the advantages of both, so in the spirit of our innovative design, we created the first ever convertible electric pressure washer. The hand caddy has a cord strap, holders for nozzles, built in hose holder, and soft rubber feet to protect surfaces. Dimensions: 33 x 18.5 x 22.5 in.